The international Climate Week starts today in New York. Vattenfall is one of ten international companies that join forces in an initiative called EV100 to push for the transition to electric vehicles. The EV100 initiative aims to make electric vehicles "the new normal" under the support of the global non-profit organization The Climate Group. Vattenfall pledged in January 2017 to replace all its passenger and light commercial vehicles in Sweden, the Netherlands and Germany to electric alternatives. “We will replace the whole 3.500 car fleet to EV in the coming five years. With the decision we do not only contribute to reducing CO2-emissions in Europe, we also set an example for other companies. 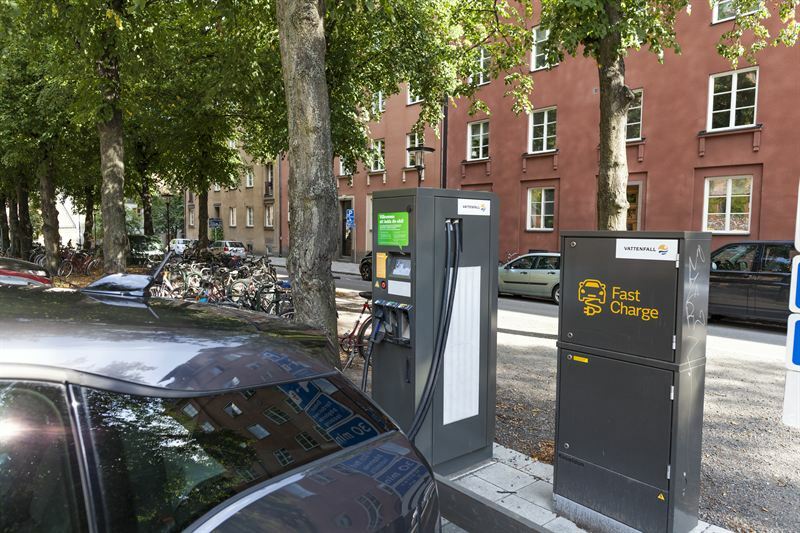 We work with our customers to deploy charging infrastructure and building northern Europe’s biggest connected charging network, InCharge,” says Magnus Hall, CEO Vattenfall. “We congratulate Vattenfall on being one of the first companies to join EV100. EV100 will use companies’ collective global buying power and influence on employees and customers to build demand and cut costs. The members being announced today see the business logic in leading a faster transition and addressing local air quality issues in their markets. They are setting a competitive challenge to the auto industry to deliver more EVs, sooner and at lower cost,” says Helen Clarkson, Chief Executive, The Climate Group. The ten first companies now joining The Climate Group's initiative EV100 are; Vattenfall, IKEA, Unilever, HP Inc., PG & E, Deutsche Post DHL Group, LeasePlan, Metro AG, Baidu and Heathrow Airport. The companies undertake to drive the development of electric cars towards 2030 in four areas; own fleet of vehicles, placing requirements on service contracts and to facilitate for employees and for customers to drive electric. Vattenfall’s vision is to be a leading European energy company. Vattenfall’s main products are electricity and heat. Today, Vattenfall generates electricity, produces heat and supplies energy to several million customers in the Nordic countries and northern Europe. The major customers are industrial plants, energy companies, municipalities, property companies and housing associations. For further information, please see www.vattenfall.com. The media service section, including a picture archive and Vattenfall’s press releases, can be found under News & Comments.